In the year of Irish Design, the spotlight will be firmly on the future of Irish fashion at this year’s Annual National College of Art and Design (NCAD) Fashion Show, taking place at 4pm and 7pm on Wednesday 27th May in the new Grafton Suite of The Westbury Hotel, central to Dublin’s creative quarter in the year of Irish Design. The event will take the form of a catwalk show and the work of fifteen graduating designers will be featured, showcasing six pieces from their graduate collections. In addition, the mini-degree collections of fifteen third-year Fashion Design students will be included in the show. The overall winner of the Brown Thomas bursary and mentorship will be announced on the day of the Fashion Show. The Annual NCAD Fashion Show presents an opportunity for graduating students to showcase their creative identities and their work process as they begin their professional careers. The show will feature a range of collections, from highly conceptual garments to ready-to-wear, high-street designs. Speaking ahead of the show, Angela O’Kelly, Head of Design for Body and Environment at NCAD, commented: “NCAD’s Annual Fashion Show continues to be one of Ireland’s leading fashion events and a true cultural highlight. As Ireland’s leading provider of art and design education, NCAD is renowned for producing strong industry talent, with fashion alumni including Orla Kiely, Simone Rocha, and Alan Taylor. The Annual NCAD Fashion Show will be one aspect of NCAD’s Season of Exhibitions, which will run from May until July. The NCAD Fashion Show 2015 is kindly sponsored by Brown Thomas and The Doyle Collection. Tickets for the Annual NCAD Fashion Show Gala Event, taking place at 4pm and 7pm on Wednesday 27th May, are now available at www.ncad.ie/about/ncad-season-of-exhibitions-2014/ncad-fashion-show/. Tickets cost €30-45. Further information about NCAD’s BA (Hons) Degree in Fashion Design is available at: http://www.ncad.ie/undergraduate/school-of-design/fashion-design/. The Westbury are part of The Doyle Collection, proud corporate sponsors of ID2015, in the year of Irish Design. 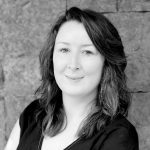 Angela O’Kelly, Head of Design for Body and Environment at NCAD, is available for media interview on request. Alice Langton, Title of Collection: Craft; “an activity involving skill in making things by hand.” Materials: Jacket; Woven Reeds, Dress; Cotton and Silk blend, Top; Tulle, Trousers; Mohair Blanket (Foxford), Bag: Wool Blanket (Foxford). Photographer: Philip White. Jessica Bagnall, Title of Collection: ‘Point and Line to Plane’ Materials: Silk satin, silk twill, linen canvas, mercerized cotton yarn. Canvassed silk satin suit jacket with handsewn surface detail, matching trousers; pocket square in red silk twill. Photographer: Philip White. Lorraine Ho, Title of Collection: “Woven Identity” Materials: Wool, Cotton, Knitted Copper Wire, Leather, Jersey crepe, Tapestry. Photographer: Philip White. Daniel Roden, Image Description: Silk Coat with Hand Applied Feathers. Wool /Cashmere Trousers. Photographer: Philip White. Follow NCAD on Twitter: @NCAD_Dublin, #NCADFashion or Facebook facebook.com/NCAD.Dublin. Media wishing to attend the Fashion Show Media Preview, taking place at 30pm on Wednesday, 27th May, please contact Emily Brennan media@staff.ncad.ie or call 01-4200580. 7pm Fashion Show Gala event (NOTE: as above).